6 Generations of natural stone quarrying have led us here. From Daniel Suttle through George and John Suttle, then Stephen Paine and now to Hutton Stone’s Managing Director Marcus Paine it is simply part of us. 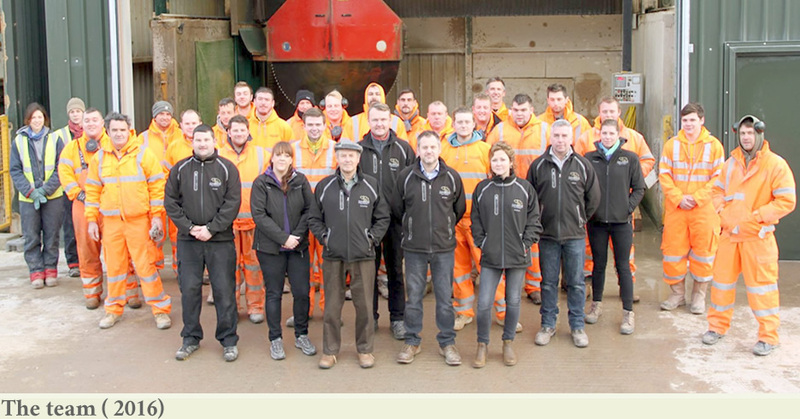 Hutton Stone Co Ltd became a reality after Stephen and Pamela Paine moved to Farm in the Scottish Borders in 1989. 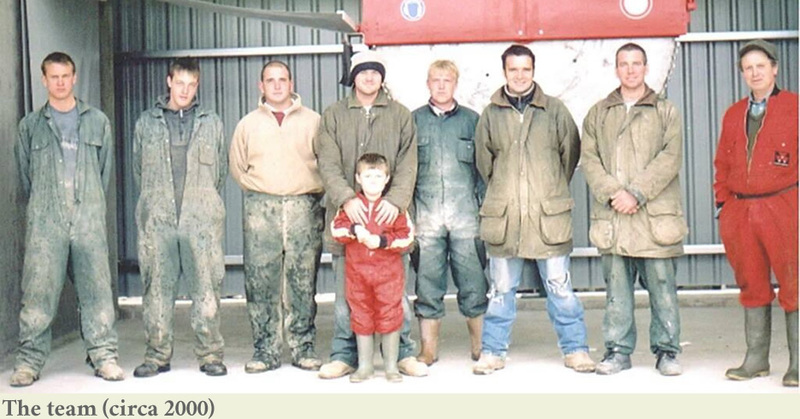 Noting that there was no local stone trade to speak of in the Borders at that time they invited their second son Marcus to join them in launching the company in 1994. Dealing initially in reclaimed stone, the Company grew steadily throughout the 1990’s and re-opened the historically important Swinton Quarry in 1999. Since then the Company has continued to grow with much investment in modern quarrying and processing machinery, the re-opening of the Craigleith equivalent Hazeldean Quarry in 2010 and most recently the purchase of Darney Quarry. Daniel Suttle. (Great Great Grandfather of the present Managing Director). Limestone Quarrier, Weardale, County Durham. George Suttle. (Great Grandfather). Limestone Quarrier in Stanhope, County Durham and Isle of Purbeck, Dorset. Crack Lane and Sunnyside Quarries. 1889-1950. John Suttle (Grandfather) Purbeck Limestone Quarrier. Swanage Quarries-Muttonhole Quarry. Founder of J.Suttle Swanage Quarries still operating today. 1912-1975. Doris Suttle nee Tatchell (Grandmother). Descendant of George Burt. Formed the Company Burt & Mowlem with his business partner John Mowlem to export stone from Purbeck quarried by George Burt to pave streets in London overseen by John Mowlem. Mowlem Construction descend from this Company. Stephen Paine (Father) Purbeck Limestone Quarrier. Owner of S.W Paine, Purbeck Stone Quarry, California Quarry, Swanage, Dorset 1963-1987 and current Director and shareholder of Hutton Stone Co Ltd.
Pamela Paine nee Suttle (Mother). Descendant of George Burt, George Suttle, John Suttle and Doris Tatchell. Joint owner of S.W Paine Purbeck Stone Quarries and founding Director of Hutton Stone Co Ltd. Marcus Paine – Current Managing Director.